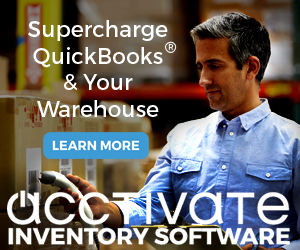 Intuit has released the QuickBooks 2010 R10 update to manual update. I’ll list what I consider to be the important changes in this release – please note that I have not tested every one of these myself. This list may vary a bit from what Intuit lists on the official update web site. At this point, if you are experiencing any of these errors, it is probably safe to install this. If you aren’t sure – wait until it comes out on Automatic Update (probably a week from today). In some cases, if an Accountant’s Copy of a file (send through the Accountant’s Copy Transfer Service) was opened, QuickBooks would close with an unexpected error. This is fixed. It would only happen in a restricted set of circumstances. A restriction was removed that prevented you from using classes in line items in invoices, credit memos and sales receipts, in an Accountant’s Copy. Integration with Office 2010 continues to be a problem for some users. In this release there are some additional improvements. 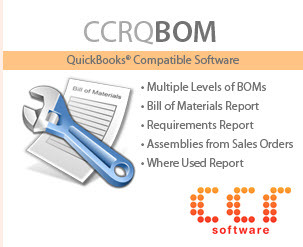 If you have the Manufacturing and Wholesale Edition of QuickBooks, you can now open the Damaged Goods, Customer RMA and Non-Conforming Material forms with Office 2010, which was a problem before this release. I don’t use Intuit payroll so I can’t evaluate the impact of the updates other than to say that you should always be up to date if you are using payroll. There are at least four bug fixes here. ISW saves multiple page PDF files in correct format now. The void and replace button in fix sales tax is enabled when editing transactions. Reclassify will display transactions that include those that had an account removed on the LAST reclassify. 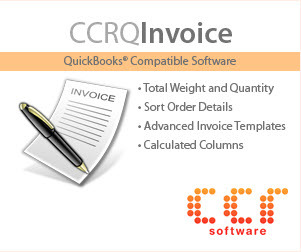 CDR will no longer crash when applying a payment to an invoice. A user now needs full permissions to specific bank accounts to write checks. This is a change that was implemented earlier in QuickBooks 2011 R3. It makes access to check information more secure. Unrecoverable Error 15177 53354 no long occurs when clicking the print button on an invoice while the cursor is in a blank row (printing, saving or shipping sales forms). Error code 16190, closing QB when building assemblies, no longer occurs. You can go to http://support.quickbooks.intuit.com/Support/ProductUpdates.aspx to get the manual update. Now, I have to allow all actions — including modify and delete, in order to allow someone to create a check. I agree with Chris that this patch makes check writing less secure. You should be able to differentiate between having permission to write and modify a check, the way it was before. I'm getting the error "you cannot use more than one A/R or A/P account in the same transaction" in quickbooks? Laura, that is generally due to setting up your item list incorrectly, if you are using items. What kind of transaction? To Chris and Keith regarding your reply to Charlie’s article. Be certain to send your ‘feedback’ to Intuit using the send feedback option under the Help Menu. I agree with you completely, why have the option under Enterprise of being able to set different levels of security for bank accounts and check writing if they are meaningless. But unless we ‘speak out’ about the things we ‘like’ or in this case ‘really dislike’ in new versions or ‘release’ updates, Intuit will follow the course with what the programming staff thinks best. But this year’s 2011 release also shows that Intuit will listen, and is willing to resolve problems to keep a majority of users happy and ‘buying’ new. So send that feedback! PS – Thanks Charlie for giving us not only your valuable insight into the QuickBooks’ products and changes, but a forum we can use to ‘hash-out’ the issues regarding same. I can’t get the R10 update to complete on my two HP Vista machines. I get a confusing message about how the update is trying to shut down all open all open QuickBooks components, but that I should maybe reboot the machine. Rebooting the machine does not help. By any chance do you also have QB 2011 installed on the same computer? I ran into that issue as well. With QuickBooks not running, run your Windows Task manager, look for “QBW32.EXE” in the “processes” tab. If it is there, select it and click “end process”. Then try installing the update. Your solution worked. I do also have 2011 installed on my machines, and once I killed that process, the R10 update install completed successfully. That did the trick. Thanks! This has been driving me nuts for days! I’m still having system hangs when reconciling, either bank or cc accounts and I’m on R10 of 2010 …now what??? I installed the automated R10 for QB2010 and when I print checks they come out blank. I have windows 7 and 64bit. I am the administrator and only user. Is there a fix for this? Melissa, I don’t have a ready answer for you. I’d need to have hands on your computer. Check with a local ProAdvisor. I’ve not run into that problem on my system (Windows 7 x64), and I don’t have a client who has seen it.